The Pilatus PC-12 can transport 9 passengers & gear or 2665 lbs of freight at 300 MPH to locations throughout Alaska, Canada, and the lower 48 States. With a pressurized cabin and a service ceiling of 30,000 feet this aircraft can truly get above the weather and go long distances fast. Known throughout the world as one of the most capable aircraft in its class the PC-12 provides passengers with safe, reliable long-range flights to and from destinations that are not attainable by most Alaska based aircraft. 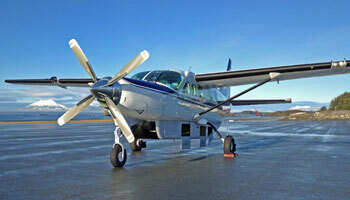 Reliable, efficient aircraft - When loaded with nine passengers Caravans produce a per passenger flight mile cost of only $.77 per mile, one of the lowest flight mile costs in the industry. Additionally, our Caravans operate safely in IFR and night conditions by participating in the FAA's "Capstone" program which uses a navigation system known as Synthetic Flight Vision Technology. This modern technology replaces conventional "steam gauge" instruments which has been the industry standard since instrument flying was first introduced in the early 1930's. 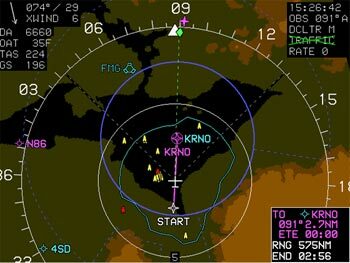 Using this advanced technology developed by Chelton Flight Systems we are able to take advantage of special Capstone low level routes with lower instrument approach minimums that which are unavailable to non Capstone participating operators. 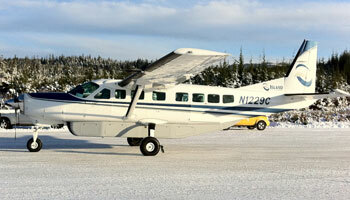 Island Air Express is one of only three commercial operations in Alaska authorized to use the Capstone Southeast IFR system. 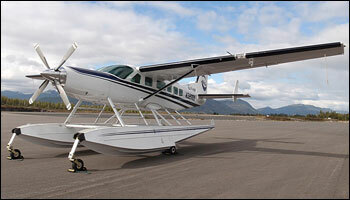 Our Cessna 850 Caravan Amphibian can transport 9 passengers & gear or 2000 lbs of freight at 200 MPH to locations throughout Alaska from land or water, day or night. We are FAA certified to fly the Caravan IFR (in and above clouds) which provides passengers with safe, reliable flights to and from destinations that are normally inaccessible during times of adverse weather conditions. 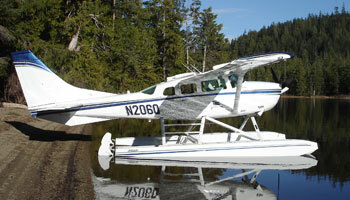 If you're looking for one of the most versatile aircraft available in Alaska, this is it. 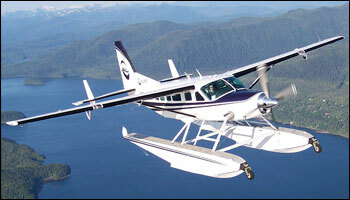 The Cessna 206 Amphib can transport 3 passengers & gear or 600 lbs of freight at 128 MPH to locations throughout Alaska. As with all of our IFR aircraft the 206 also has the Chelton "Synthetic Flight Vision" system onboard providing exceptional safety, situational awareness, and traffic alerts during flight. 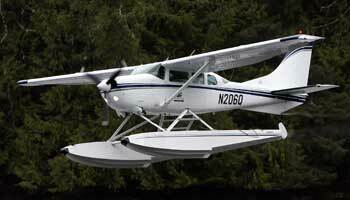 This aircraft is a perfect option when your air travel needs require something a bit smaller and shorter range than a PC-12 or Caravan. It almost defies belief, but it's true. Our Cessna aircraft now have flight decks more advanced than the latest state-of-the-art airliner's. The FAA-certified FlightLogic Synthetic Vision EFIS employs breakthrough technology to deliver never-before-possible situational awareness and ground-breaking automated flight management capabilities. 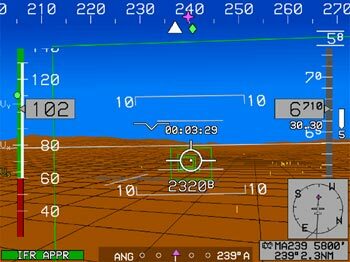 The FlightLogic EFIS combines advanced “Heads Up Display” symbology with real-time forward-looking 3-D terrain to create a primary flight display with capabilities unmatched by any other product in the world. The result is tremendously enhanced awareness, unprecedented safety, and dramatically reduced pilot workload. Additionally, the Flight Logic System will overlay real time traffic & weather on both screens and is able to receive text forecasts, pilot reports, and current weather conditions for any aviation reporting location. Eliminates the uncertainty of darkness and weather to make every flight as effortless as flying in ideal weather.